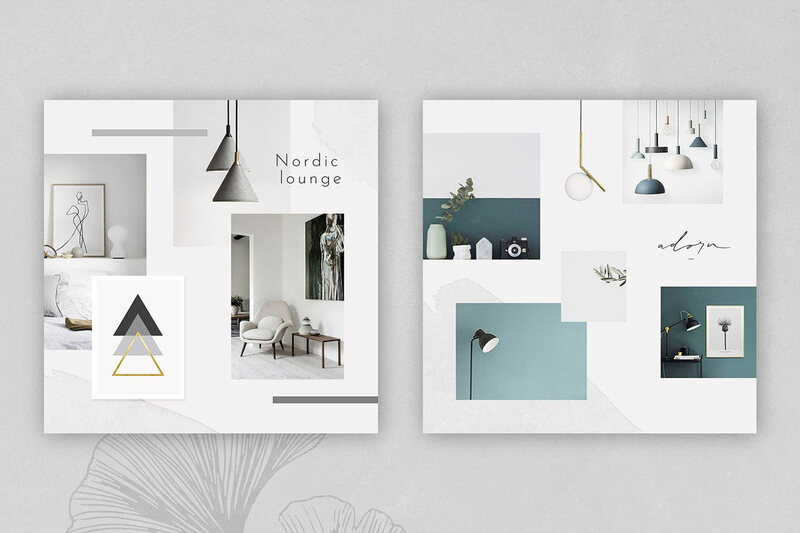 Scandinavian coziness and ultimate airiness are these social media templates. 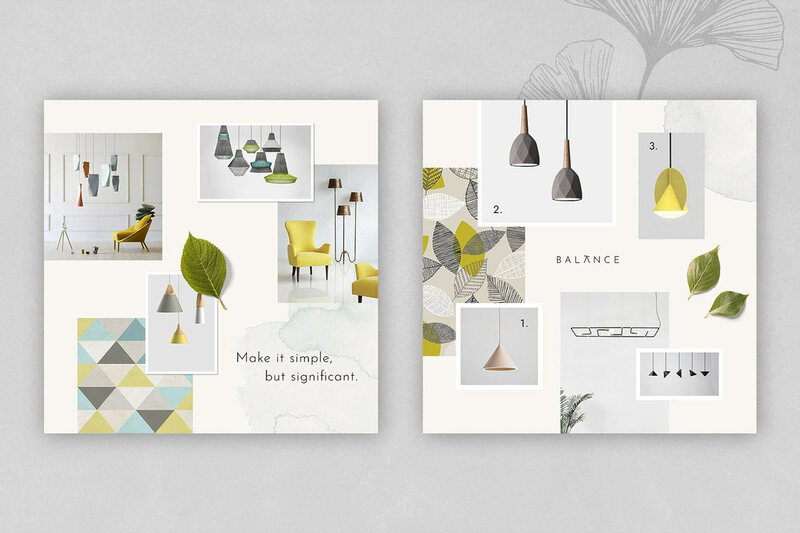 Scandinavian design is still much valued, and it is not going to leave the gained positions. 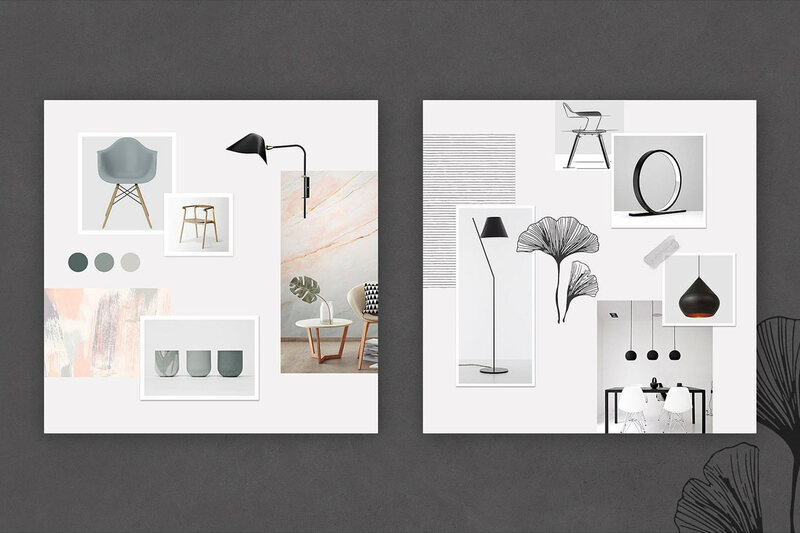 That’s why we’ve decided to open the season with a collection of fresh and sophisticated moodboards. Can you remember The Reviewer by Pixelbuddha? 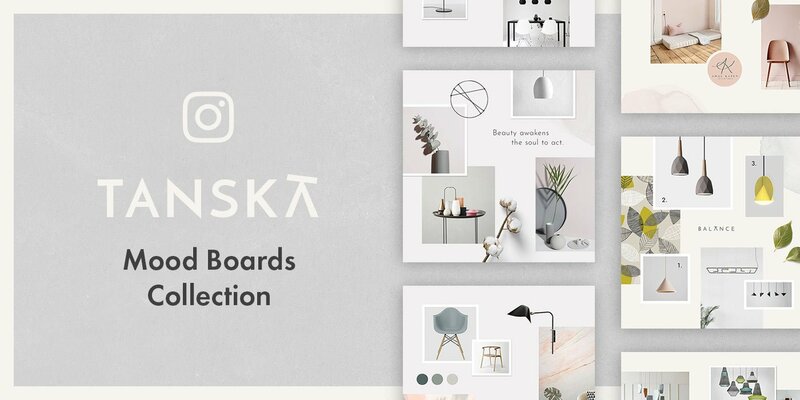 A set of Pinterest templates in a similar style that turned commonplace pins into high fashion ones has now got a new companion, Tanska. Pixelbuddha team has done in-depth research to create prominent compositions, where every color and detail tell a story. 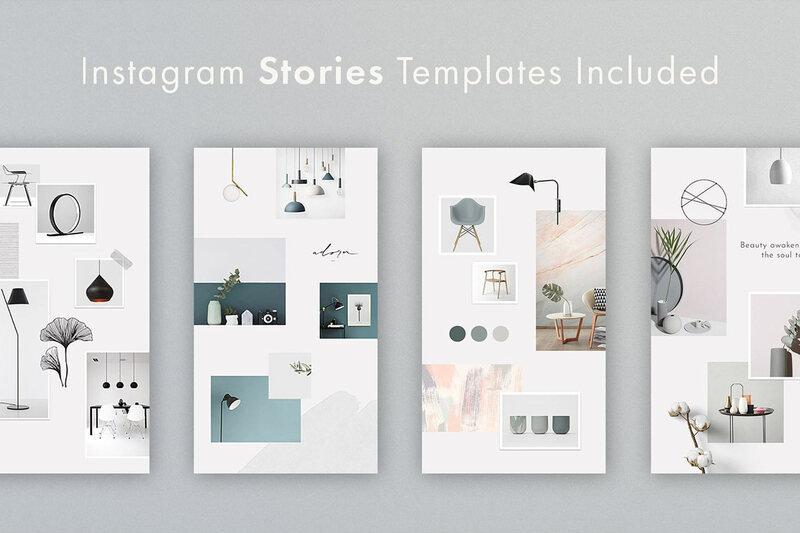 To us, Tanska Instagram templates are a perfect tool to showcase a lifestyle or traveling blog, fashion, digital or interior design content. 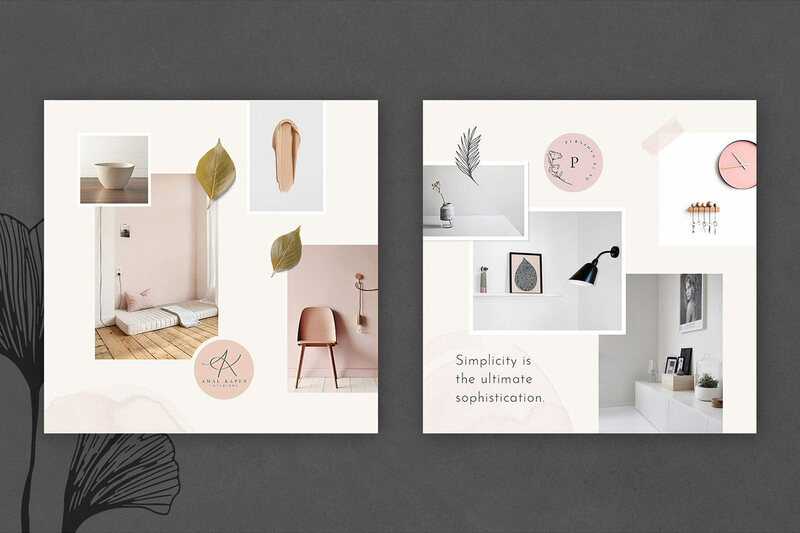 This time, the collection unveils 10 delightful moodboard templates, all to be used and customized easily. Soft shades, reserved geometric shapes, no disturbing vibrancy — all components of the finest Scandi speak for themselves. Finally, Smart Objects significantly facilitate work on another masterpiece, so you will need a couple of clicks to bring another digital masterpiece to the demanding audience. Has anyone just said Ballicons? Oh, we got a nice exclusive giveaway for all icon-lovers! 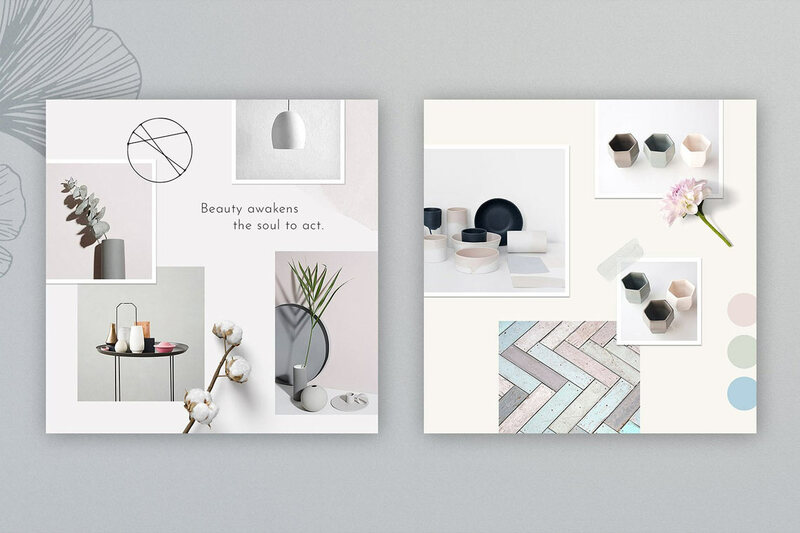 There every mockup scene is of artistic charm, so will you make them yours?